The Toyota Camry is the most popular midsize car sold in America. It does everything very well and is known for its quality, reliability and resale value. It's comfortable, easy to operate and an easy car to live with in a hectic world. It's pleasant to drive in all circumstances. Camry seats five in comfort yet it's relatively compact and easy to park. It's smooth and quiet, but it can accelerate with vigor. Its cabin is attractive, functional and refined, while its styling is aerodynamic and shows vitality. 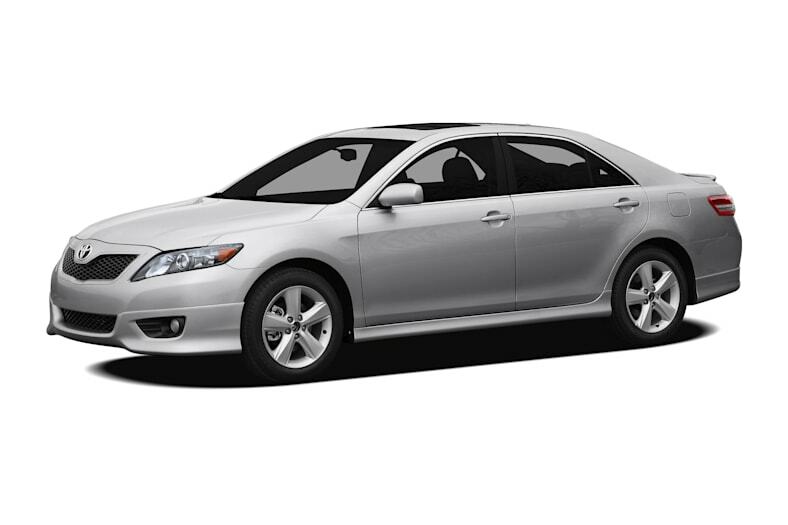 Models range from the well-equipped base Camry to the near-luxury Camry XLE. In between are the popular LE, a modest step up from the base and available with the V6, and the SE, decked out with suspension, tires and trim to please the sporty crowd. All Camry models offer good EPA mileage ratings and low emissions in their respective categories. For 2010, Camry comes standard with a new 2.5-liter four-cylinder engine. Equipped with Variable Valve Timing with Intelligence (VVT-i), the new engine is rated at 169 horsepower for the Camry, LE and XLE trim levels and 179 hp for the sporty SE. Those are substantial increases over last year's 158 horsepower. The four-cylinder can be matched with either a six-speed manual or a six-speed automatic transmission. The new 2.5-liter four-cylinder promises more ease when driving away from stoplights, running with freeway traffic and climbing hills. Camry V6 models get a 268-horspower 3.5-liter engine and a six-speed automatic with manual shift feature. The 2010 Camry gets a new grille and front bumper, an enlarged lower intake opening, larger headlamps and restyled taillamps. The base and LE trim levels have restyled steel wheel covers; the XLE has new 10-spoke 16-inch alloy wheels, while the SE gets new 17-inch alloys. The Camry Hybrid has a unique grille, a distinct front bumper, a wider lower intake opening, restyled fog lamps and 16-inch alloy wheels. 2010 Camry models come standard with Vehicle Stability Control with traction control. Automatic up/down windows on all four doors is standard across the line, and the Hybrid has a new meter cluster and a new seating fabric that is part silk protein and part synthetic fiber and is claimed to be exceptionally gentle to the touch.